Ginger eats a nutritious diet consisting mainly of fresh raw meats, including organ meats. She also benefits from both ground and whole raw bone, vegetables, some fruit, fish oil and vitamins and supplements as needed. Sindi also enjoys a healthy diet, but will leave the raw meat to Ginger's taste buds. Sindi opts for fish, eggs, beans, vegetables, fruit, grains and supplements. She does have a little dairy and is in the process of adding more meat to her diet. Right now she is working on reintroducing turkey. Both Ginger and Sindi go ORGANIC whenever possible! Below is Sindi's article published in the March/April issue of San Diego Pets magazine. What you do today will have an effect on your pet’s future. This includes what you choose to feed them. Following the tragic and fatal events leading to the pet food recall in 2007, more pet parents have chosen to pay attention to what is in the food they are feeding. Now, faced with the recent FDA reports that popular chicken jerky treats made in China could be causing severe illness in dogs, even more consumers are reading the label. So how do we keep our pets safe and fed? Some have chosen home cooking for Felix and Fido. Others are buying only pet food and treats manufactured in the USA, with the thought being that the ingredients and processing is better monitored, and therefore safer. I know of a number of people opting for home cooking, including people purchasing dehydrators to make their own chicken and other protein sourced jerky treats. I love my pets and know you love yours. I am conservative and cautious when it comes to choosing what they consume. Even the most superior dry kibble and canned wet foods are highly processed, eliminating much of their nutritional value. Because of this, I generally avoid adding them to my dog and cat’s menu plan. Basing my choices on safety and quality nutrition, I occasionally serve my pets unseasoned home cooked meals, but mainly feed them minimally processed raw meat based pet food, along with fruits and vegetables. As a representative in the healthy pet food industry myself, I hear some people remark that they do not feed a raw or home cooked diet because of higher costs. When calculating everything together however, you may find that it is less than you think! Since these meals are less processed than dry kibble and canned products, your pets will receive a much higher level of nutrients per ounce of food. This will leave them more fully nourished and satisfied at the end of a meal. Feeding healthier, more nutrient rich foods is also a way to prevent some health issues, lessening veterinary costs down the road. Some medical conditions arise due to poor nutrition, so what you invest in your pet’s diet now, can end up saving you money later on! Another argument I hear from pet parents is that it takes too much time and work to prepare food or handle frozen raw diets. Because of the busyness of people's lives today, their hesitancy is not surprising. With so much information and help now available however, making these healthy dietary choices for our pets is easier than ever before. 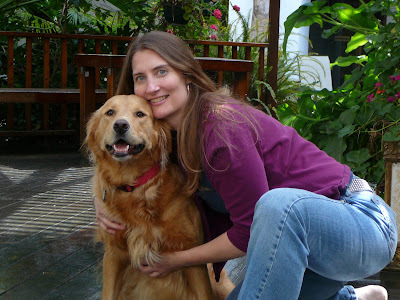 If you are unable to make a full-time switch to one of these nutritional paths, Samantha Sarsilmaz, owner of the Point Loma Pet Pantry www.pointlomapetpantry.com, stresses the importance of "adding freshness" to your pets' diets. Adding fresh, lean, unseasoned raw or cooked meats, vegetables and fruits greatly increases the amount of accessible nutrients in your pet's diet, whether it is daily or on occasion. Of course, the more frequently you add fresh, nourishing ingredients, the greater the benefits. In addition to fresh, home cooking and the use of supplements, Kelly, Samantha and I are all supporters of feeding a raw diet to pets, including our own. This is the best and easiest way to ensure they are getting the nutrients needed. There are many brands of raw pet food formulated into complete meals, adding varying amounts of fruits, vegetables, vitamins and minerals. The food comes in pre-measured out patties or nuggets, cutting down on preparation time. It is also available in bulk form allowing pet parents to measure out their own desired quantities per meal. Researching the different brands of raw frozen pet food and their ingredients can help you make the most informed and healthiest choice for your pets. Please note that not all brands of raw diets are complete meals in and of themselves. Checking company websites and gaining information from informed staff members at healthy pet stores and other holistically focused professionals is encouraged. Feeding raw diets formulated into complete meals by health conscious pet food companies can take a lot of the guesswork out of proper feeding. While the home cooking route can take more thought and care to ensure your pets are getting the dietary balance they need. Additional supplementation and vitamins can benefit any animal, regardless of diet depending on their individual needs. With so many different and often conflicting philosophies regarding pet care, the bottom line is always what I am personally comfortable with. The same is for you and all consumers. We ultimately need be consistent advocates for our companion animals, doing our own research and implementing what is best for their unique, individual needs.